336) Whereas many are excited about the impending removal of the viaduct, this box is actually quite sad about it. For decades, the viaduct has been his constant companion, always there, always providing a muffled rumble of background noise. 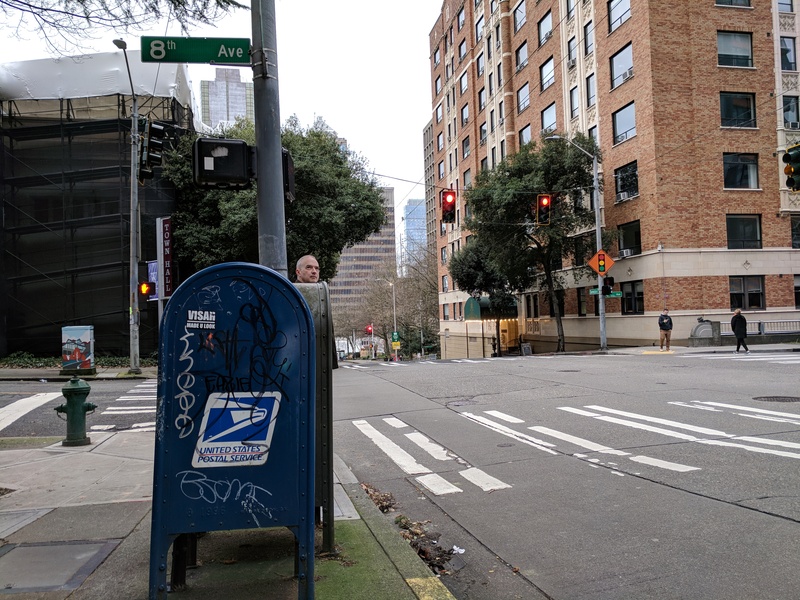 Once the viaduct is gone, the box will only have tourists to deal with, and well, that’s why he’s so sad. Man, this box is really bad at telling jokes. 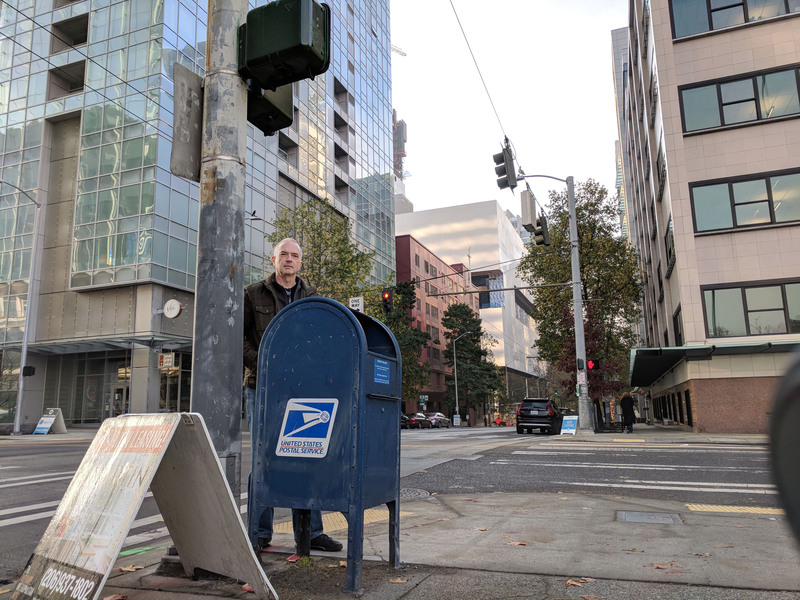 332) I was wondering why the mailbox and the green relay box were giggling so incessantly while I was posing for this picture. 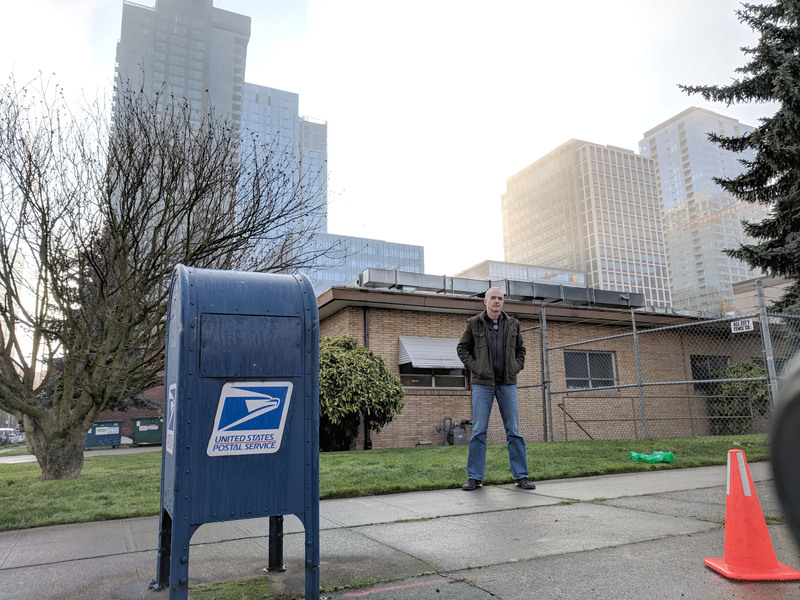 All I was trying to do was set up a dramatic shot with the downtown buildings in the background, but they seemed to know that I would end up with my tiny head perched on top of the box. I bet they’re still laughing about it. 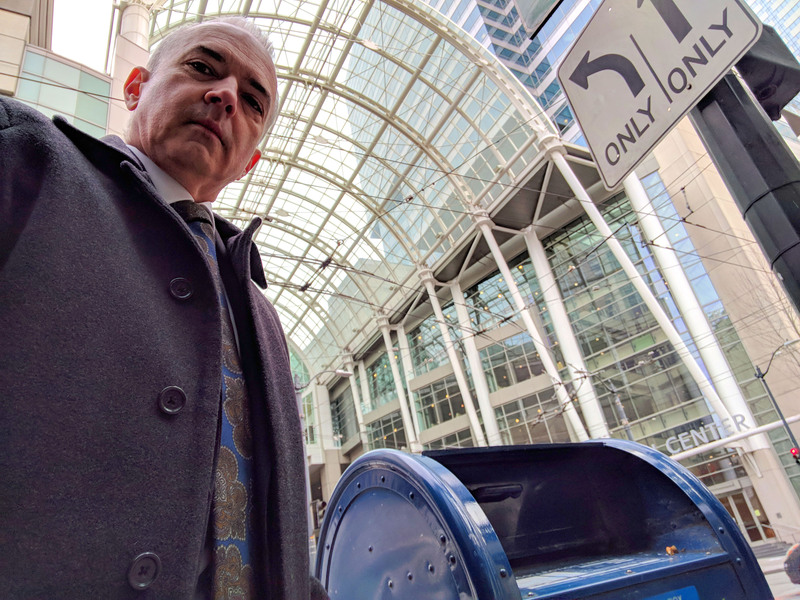 319) I found myself downtown, dressed in full business attire with a Bluetooth earpiece stuck to my head, thinking I really fit in with the crowd. 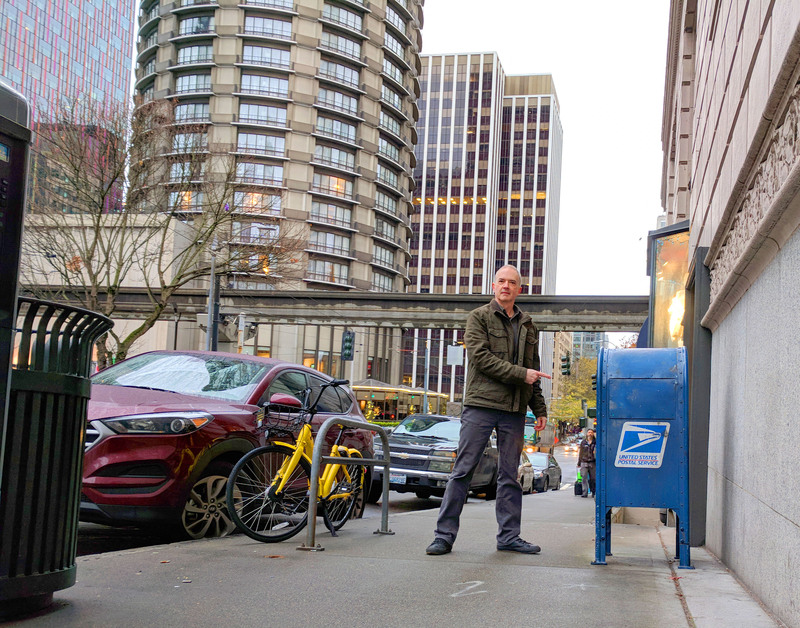 Apparently, however, I looked foolish because this mailbox wouldn’t let me stand any closer than this. If I tried to get any closer, he’d hiss and flap his mail door at me until I backed away. Personally, I think he’s just grumpy over having to stare at the weird library all day, every day. 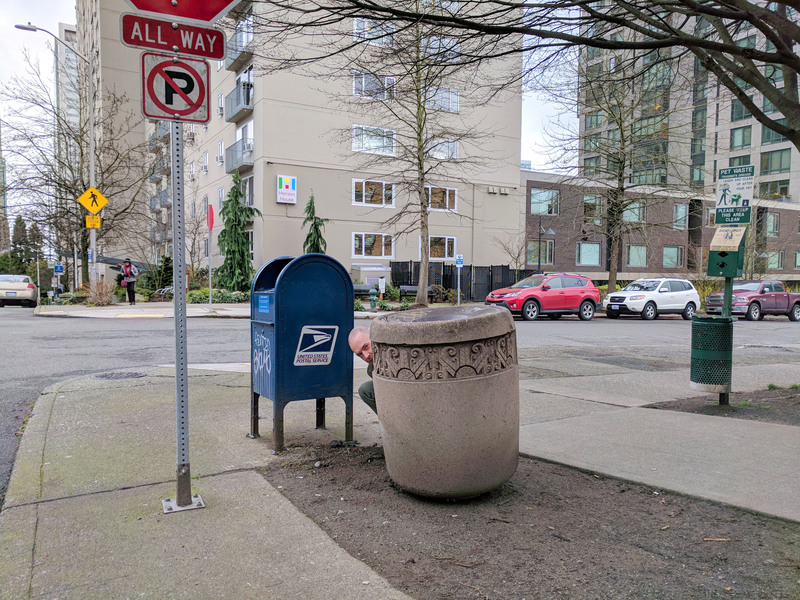 311) You’ll notice that this mailbox is very, very nervous. Absolutely shaking in his boots, he is. Why? Because the peace and tranquility that he has known for decades is rapidly being shattered by the constant stomping and buzzing of new humans in the area. 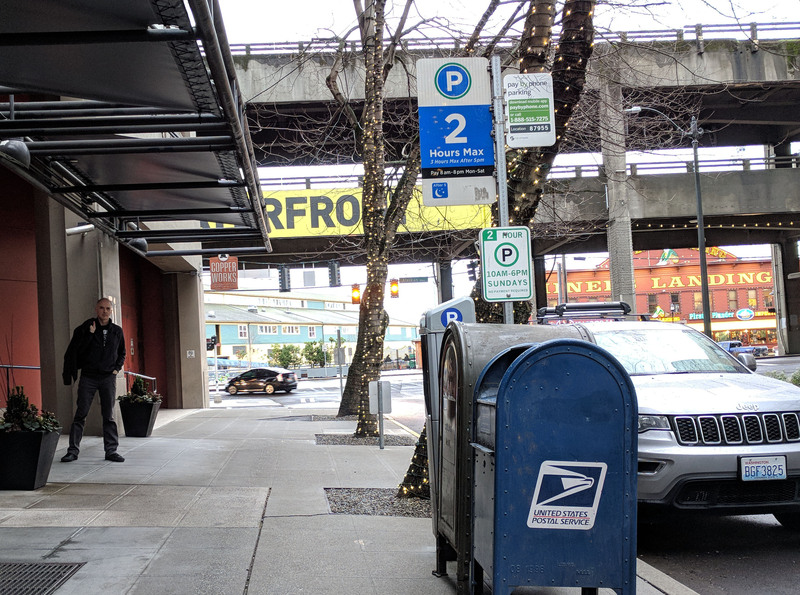 Look at the street corners — each one of them has a Now Leasing sign, luring new tenants into the new apartments buildings that have sprouted all around this guy. It’s a new world, one he’s not happy about. 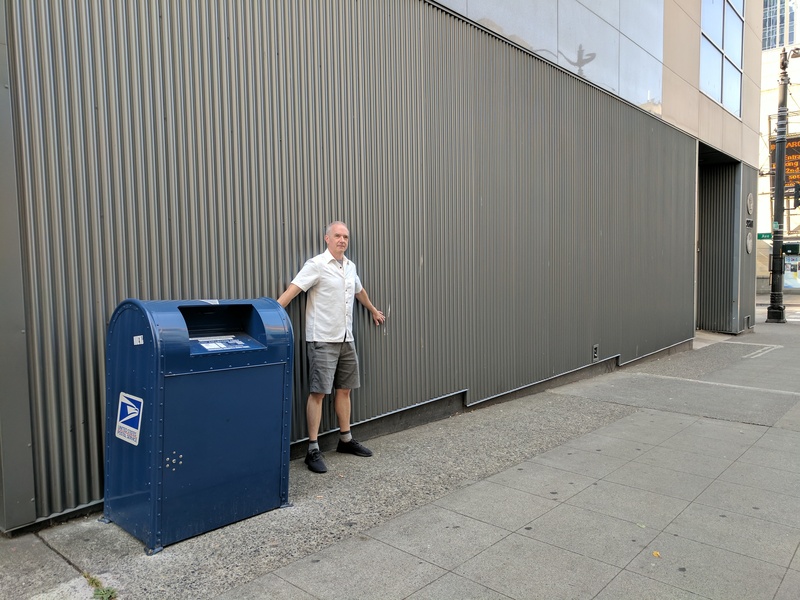 299) Yesterday I posted a stunning example of public infrastructure that was obviously inspired by the humble mailbox. I thought it was the only such example in the city, but I was wrong! 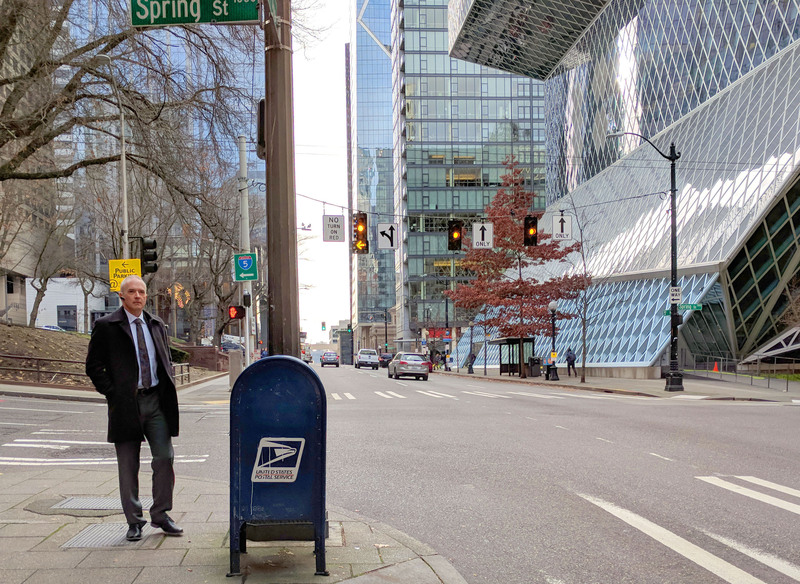 I had never noticed how the Convention Center street-arch-thing also takes its shape from this trusted public servant. Look at that majestic sweeping curve… it’s like being inside a giant mailbox skeleton. 297) It took me three attempts to find this box. Seriously, I had sought it out on two previous occasions, and failed to find it both times. 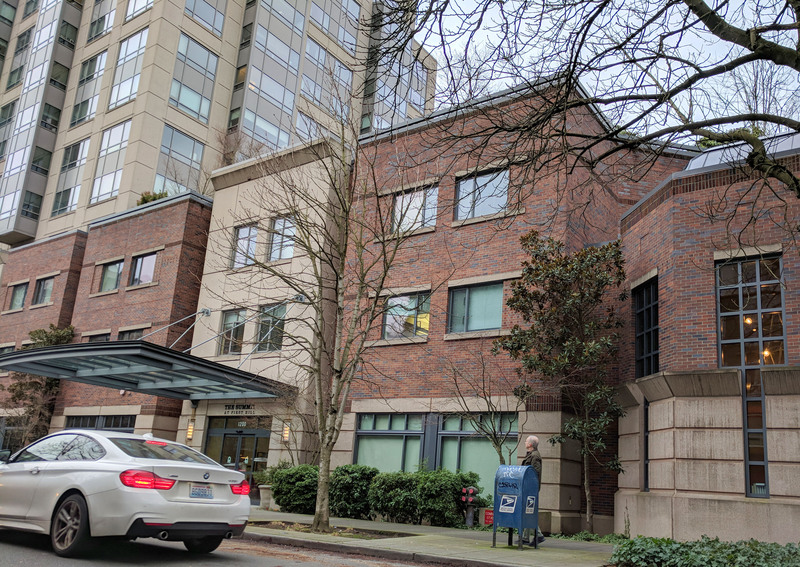 My data told me it was on this block, but it erroneously said that it was on the other side of the street. So two other times, there I was, looking up and down the sidewalk spotting nothing, all the while amusing the hell out of this guy. He was hiding in plain sight the whole time.